Mark Amatucci, a legendary basketball coaching figure in the Baltimore area and a Baltimore Catholic League Hall of Famer has recently published a new book, No Limits, detailing interesting stories and thoughts from his long career as a teacher and a coach. The book is billed as “One coach’s remarkable journey of athletic, social, and cultural success on and beyond the court.” It was co-written by Todd Karpovich, a Calvert Hall alum and a local sports journalist/author, and Joe Baker, a long-time Calvert Hall administrator and close friend of Amatucci. Tooch, as his players affectionately call him, spent most of his career at Calvert Hall College High School, where he won 389 games in 19 seasons, over two separate stints, highlighted by a 34-0 season and a National Championship in 1982. He was only 24 when he became head varsity basketball coach at Calvert Hall for the first time and he brought top notch talent to the Towson area private school, including Duane Farrell, Juan Dixon and Gary Neal, all of whom would go on to play in the NBA. Amatucci was 117-27 in just his first four years at the Hall. During his illustrious career, Amatucci was Basketball’s Weekly Coach of the Year in 1982; Baltimore Catholic League Coach of the Year in 1980, 1981, 1982 and 1999. He was the Baltimore Sun and News American Coach of the Year in 1980, 1981 and 1982. He also won three BCL regular season championships, and three BCL tournament crowns. His success appeared to have no limits. More than 40 of his players played in college, and three played in the NBA. In 2014, at a basketball reception at the school, Frank P. Bramble, Calvert Hall’s Chairman of the Board of Trustees at that time, announced that the basketball court at Calvert Hall Alumni Memorial Gymnasium would be named Mark Amatucci Court. On the day the court was dedicated Bramble also announced that the Mark Amatucci scholarship fund would begin. The fund was established to provide tuition assistance to student-athletes with financial need. Following the historic 1982 season, Amatucci made the bitter-sweet decision to leave Calvert Hall and pursue a dream opportunity to coach Division I basketball at Loyola University (then Loyola College). Coaching at the college ranks was difficult and his first Loyola team went just 4-24. The following year, however, he orchestrated the biggest turnaround in the nation, winning 16 games, the Greyhounds would go on to four straight 15 win seasons, something that had never been accomplished at the school. The dream job eventually turned sour for Amatucci. The departure of long-time athletic director Tom O’Connor, who hired Amatucci out of Calvert Hall, led to a new administration which created upheaval throughout the athletic program at Loyola. Amatucci’s team was later put on probation for technical violations of NCAA rules and the coach was not allowed to recruit off campus for one year. The program suffered in the process and eventually Loyola and Amatucci parted ways. Down but not out, Amatucci returned to the coaching sidelines at Anne Arundel Community College, where he spent two years as the head coach, and he spent one season as an assistant to Tom Finnegan at Washington College. “After we won the 1982 National Championship, I was able to go right from high school to a Division I University program, when I became the head coach of Loyola College. That became the second part of the journey. Eventually, however, the road would lead home. In 1983, current Calvert Hall athletic director Lou Eckerl hired Amatucci to return to the Hall, once again as a teacher and the school’s varsity head basketball coach. In reality, Amatucci’s Calvert Hall experience started much earlier than in 1976. It began when he matriculated to the Hall from elementary school at St. Joseph’s Cockeysville in 1966. “I didn’t pass the entrance exam that would enable me to get in-to Calvert Hall. My 8th grade teacher, Sister Alfred, who much later left the convent to teach in Baltimore County, as Kitty Walker, took me under her wing and tutored me. She talked to Brother John Moore, to give me a chance to go to Calvert Hall. Monsignor Stanley Scarff also helped me get in. In 2006, the grind of his long career brought about some self reflection and led Amatucci to the difficult decision to step away from the Calvert Hall bench for good. Amatucci hand-pick John Bauersfeld, one of his former players and assistant coaches as his successor. Bauersfeld continued in his mentor’s tradition and led the Cardinals to a pair of BCL titles before leaving the school after last season to live and coach in Georgia. Amatucci also gives great credit to another one of his former players for the positive impact he has had on his life. Father Charles Sikorsky, LC was a seldom used reserve on the 1982 national championship team, who would go on to earn a law degree from the University of Baltimore before receiving “the call” to the priesthood, joining the Legionaries of Christ order. “NO LIMITS” is available at: www.toochnolimits.com. 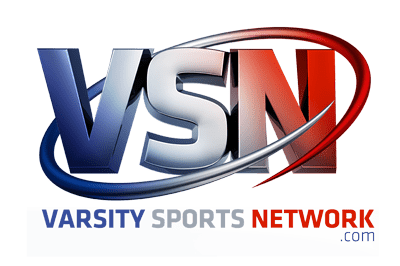 VSN's Joe DiBlasi recently sat down with Calvert Hall coach Mark Amatucci to discuss his new book "No Limits"